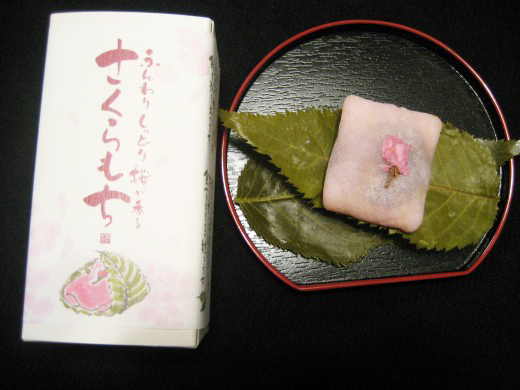 Sakuramochi is a variety of wagashi, or Japanese confectionery consisting of a sweet pink mochi (rice cake) and red bean paste, covered with a leaf of sakura (cherry blossom). 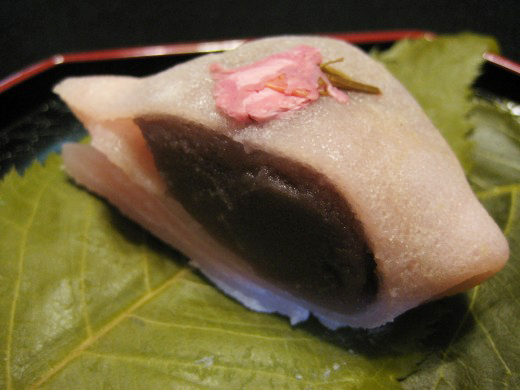 You can eat a sweet pink mochi with pickled sakura leaves. It tasts awesome!! 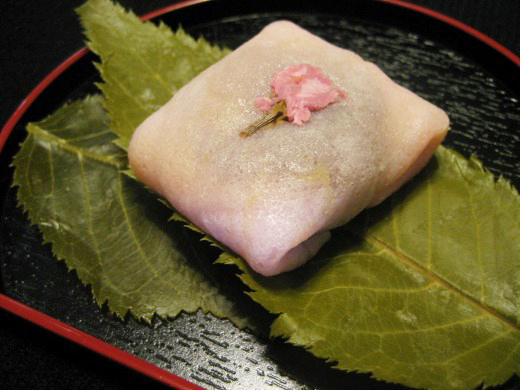 Sakura-mochi is eaten on March 3rd, Girl’s Day. The Japanese Doll’s Festival or Girl’s day (Hina-matsuri), is held on March 3, the third day of the third month. This is a day to pray for young girl’s growth and happiness. I heard about this Dolls Day. I heard that traditionally, it’s bad luck for a mother to put the dolls away late after the day, it will symbolize the daughter getting married late in life. I love hearing about Japan’s traditions!